THOUGHTS ON GIRL ONLINE, ZOELLA AND GHOST WRITING BOOKS! I’ve never hidden the fact that I don’t have a great deal of respect for ridiculously famous YouTubers. Yes I watch YouTube and I even watch videos made by some of those that I don’t like admittedly. But I rarely choose to spend my money on their over-priced, irrelevant-to-career (can you call YouTube a career really?) merchandise. This means that all these books that are suddenly being released by YouTubers will most definitely not be making their way on to my shelf any time soon. Up until a year ago I had no idea who Zoe Sugg was. I’d heard the name thrown around by one of my flatmates at Uni who watches her videos, but I’d never been interested in the makeup guru side of the internet so hadn’t come across ‘Zoella.’ Once I’d gotten to know a little more about her and checked out her YouTube channel, me and said flatmate discussed her then upcoming novel ‘Girl Online.’ With its release in November 2014 I looked at a copy and said without any doubt that I would never read that novel. Why was a Youtuber writing a novel all of a sudden? It was clearly a money making scheme. I think we’re all aware of the controversy around this book (*whispers* the really big thing no-one talks about because the whole world has to be obsessed with the YouTube sweetheart) that in fact it has been ghost written. 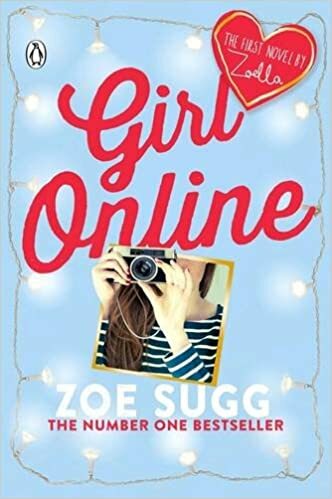 When it came to my attention that in fact Girl Online – the book Zoe stated numerous times she was so proud of writing was written by someone else, the little respect I had for her disappeared completely. It wasn’t anything to do with the fact that she was Zoe Sugg, it was the fact I don’t agree with her obvious way of making some quick money by having a book written for her. The whole idea of ghost writing baffles me. If you don’t have a book in you or don’t want to write a book, DON’T WRITE A BOOK! Now that the hype has died down (and curiosity got the better of me) I found a cheap copy of the fastest selling debut novel of all time and decided to judge it for myself. I started this novel knowing absolutely nothing about it, soon figuring out that it was a teen’s book (I’d say aimed at twelve to seventeen years) with a fifteen year old protagonist. The first point I will mention about Girl Online is the fact that the protagonist ‘Penny’ suffers from panic attacks. As someone who has struggled with some of the same mental issues she does, I can happily say that it was extremely well written. Zoe herself has discussed many times in the past her own problems with anxiety and it really does show in Girl Online that some parts are actually her. She (or whoever wrote it) has managed to explain to teenage girls what it actually feels like. I’m sure that will be a huge help to her fans who suffer with the same thing. However my opinion quickly soured as I just felt like the whole story was not relatable or believable at all. I half expected the ending to be the typical primary school ‘I woke up and everything was a dream.’ Penny is an amplified version of a typical clumsy teenage girl. Whereas we’ve all had our embarrassing stumbles in front of our crushes (trust me I should know) Penny seemed to land on her arse every other page. Something that wasn’t cringey to read, just down right annoying. She soon finds herself in New York and falls in love ridiculously quickly with a young mysterious musician called Noah. I couldn’t quite get my head around the fact Penny was fifteen and her parents were perfectly fine with her gallivanting around New York with a strange eighteen year old boy. If that were real life he’d be arrested. I feel like considering Zoe has so many young teenage girls looking up to her, the romance aspect to the book was not handled well at all. It seemed like Penny and Noah’s relationship was all that mattered, like she couldn’t live without him. It wasn’t healthy. 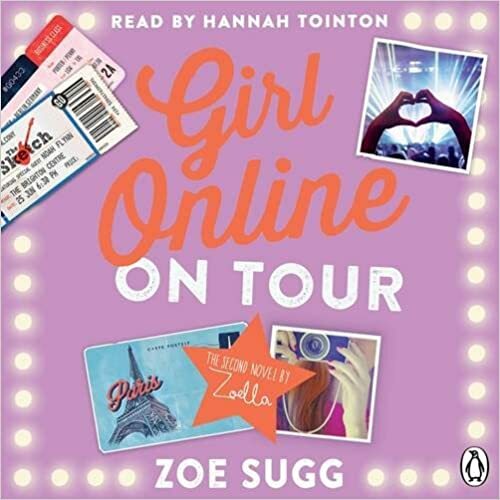 Penny runs an online blog and calls herself the ‘Girl Online.’ There are extracts from her blog throughout the novel but all I could think of when reading was that Zoe was subliminally telling her fans something through the messages. Something like ‘stay out of my business!’ So many times the importance of ‘privacy’ was mentioned, when Zoe herself has filmed numerous videos about her own deserving privacy. SHE decides to put herself out in the public eye like that and therefore knows the consequences of that. The blog posts just felt very close to home from what I actually know of Zoe and I’m still not sure what to make of it all. Girl Online: On Tour (Girl Online 2) is due for release in October and I will probably end up picking it up out of pure curiosity. The Girl Online series isn’t something I’m going to run out and buy, mainly as I cannot relate to the characters all that well, but I shall keep my eyes on it and I’m definitely glad that I made my own opinions from reading the book. If there wasn’t so much emphasis on Zoe having help to write her own novel I probably would have been more inclined to pick it up sooner. « ARISTOTLE AND DANTE DISCOVER THE SECRETS OF THE UNIVERSE BY BENJAMIN ALIRE SAENZ REVIEW!